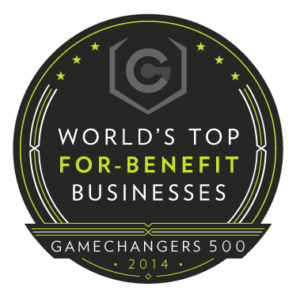 OneMama.org is named by GameChangers 500 to their Top 50 list of featured game-changing companies from around the world, operating on a for-benefit model of social good. Instead of solely evaluating companies based on their revenue, GameChangers 500 takes into account other factors, including social responsibility, environmental impact, and work environment. Siobhan Neilland, founder of OneMama.org is also one of five women CEOs named to the list. OneMama is honored to be recognized as a game-changing organization for its social entrepreneurial programs and unique model, which emphasizes both social responsibility and economic sustainability. OneMama’s three-tier franchise model consists of a birthing clinic, medical clinic, and community center, all of which work together to become self-sustainable in 5 to 10 years and with 100% of donations going directly to on-the-ground programs in its communities. Special thanks to David Hopkins for always being an advocate for OneMama.org, and bringing awareness to how for-benefit companies with an altruistic mission, like OneMama.org, are changing the world. Check out OneMama’s GameChangers 500 Profile HERE! GameChangers 500 profiles the world’s top For-Benefit businesses that are focused on maximizing benefit to people and the planet, rather than just maximizing profit-at-all-cost. 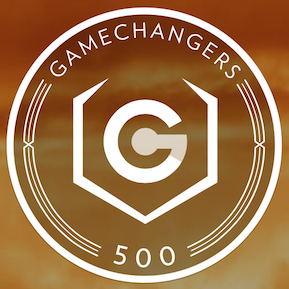 Considered an alternative to lists like the Fortune 500, GameChangers 500 looks beyond revenue as the “point system” and awards organizations for using business as a force for good. Among the top 500 are socially and environmentally conscious leaders like Patagonia and TOMS, mavericks of workplace culture like Zappos and Virgin, as well as innovators like Tesla Motors and IDEO. Although the majority of the top 500 are based in North America and Europe, more than 25 countries are represented with some of the top performers representing countries such as Brazil, Malaysia, and India. GameChangers 500 is building aspiration for a new breed of organizations—organizations that define themselves as For-Benefit rather than For-Profit, and utilize business to not only make money but to also make the world a better place.